Convincing my teammates to head out for Friday late night eats has never been all that difficult. Usually, they are quite enthusiastic and in fact, are dismayed if we didn't. 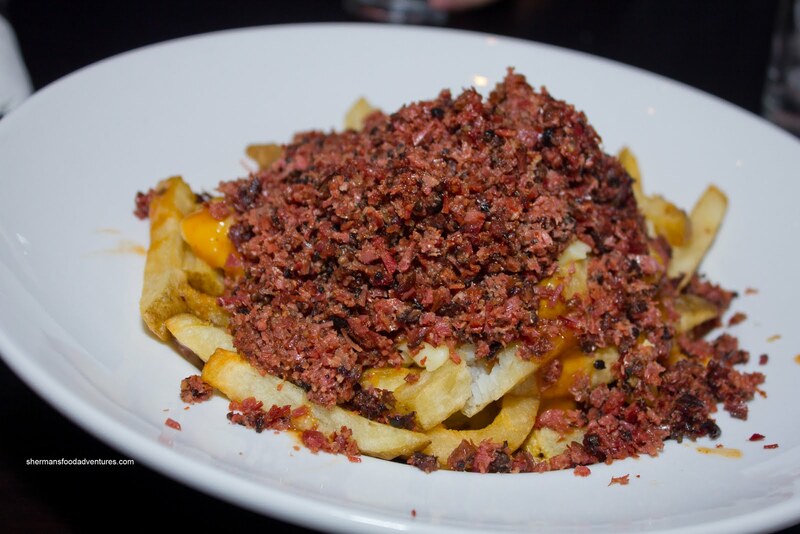 Hence, we have sampled some of the best late night eats Vancouver has to offer. However, with the available options dwindling, we have been looking towards places that are either far away or located in Downtown. Now, whenever I suggest Downtown, it's like I just mentioned the name Voldermort. Emotions such as fear, anger and worry start to arise. Much like a drive in Richmond I suppose. But honestly. Late night eats in Downtown Vancouver is nothing to be afraid of. First of all, the parking is generally plentiful and free around midnight. Second, there is practically no traffic other than the major thoroughfares. Furthermore, there is much more selection of restaurants to choose from. So my compelling case for heading Downtown did not fall on deaf ears this time. 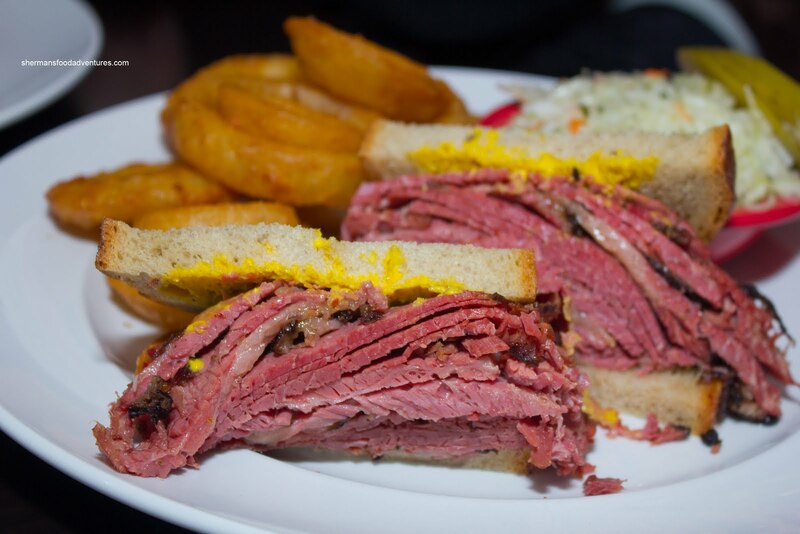 In addition to the aforementioned points, the mere mention of Dunn's Smoked Meat piqued everyone's interest. It was like the call of the wild. Okay, okay, for those purists out there, I do realize that Dunn's is more of a "touristy" joint, much like Carnegie Deli in NYC . But with the complete lack of legit deli sandwiches in this city, let's just not even try to compare this to NYC or Montreal. Cuz we're not either of those cities. As the wise Bertuzzi stated, "It is what it is...". And much like my prophecy, almost everyone got rock-star parking in front of Dunn's. We had originally rushed on over because we thought last call was at midnight, yet they told us it was 12:30am when we got there. No matter, gave us more time to look over the menu. Which incidentally does not only consist of smoked meat sandwiches. There are burgers, hot dogs, pastas and other entrees available. None of which we were particularly interested in since we were here for the smoked meat. Miss Y was originally supposed to join us and she would've probably ordered a burger... Well, we went for their specialties starting with Dunn's Poutine. This was an impressive-looking plate of food with Kennebec potato fries (similar to those found at White Spot), gravy, melted cheese curds and a whack-load of minced smoked meat on top. This was pretty good except we were not convinced with the finely minced meat. It was hard to eat and I didn't think it had enough impact. 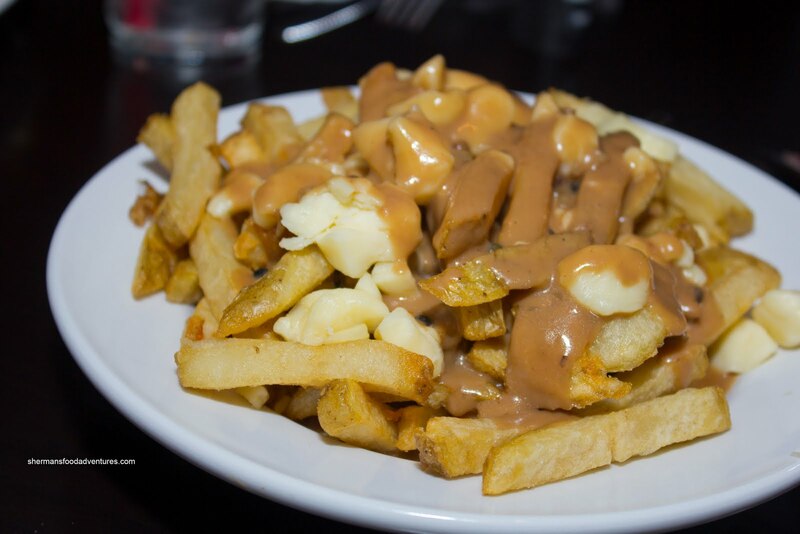 Now one poutine wouldn't be enough right? So we got the Peppercorn Poutine which is a variation of their Quebecois Poutine except for peppercorns in the gravy. This was met with only lukewarm praise. Again, the fries were while there was an even gravy and cheese ratio. However, it was not as flavourful as we would've liked, considering it was supposed to be peppercorn. Now onto the main event - the smoked meat! Gordo had the Super Giant Montreal Smoked Meat with 8oz of hand-sliced beef brisket (medium in t his case) on light sourdough rye bread. 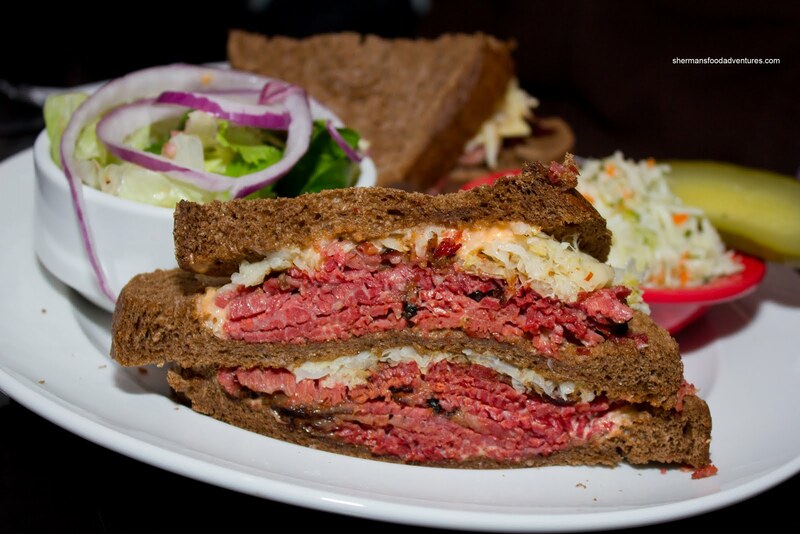 Although it would never be confused with something found at Carnegie Deli in NYC, it was "big enough". As expected, the meat was very moist and flavourful due to his choice of medium (the best choice IMO). Now, for informational and comparison's sake, I have included a picture of Giant Montreal Smoked Meat also with medium meat. Emilicious has a smaller appetite and she was content with only 6 ounces. She did, however, substitute Onion Rings for the fries. These were big and crispy, we liked them. Now FYI, the next picture represents an 8 oz sandwich with lean meat. Ginseng and Lionel Hutz were looking out for their health and decided against medium or fatty. Again, personally, I would not order lean, but it is an option though. Milhouse and Sweet Tooth settled on the Famous Dunn's Rueben consisting of Montreal smoked meat double stacked on dark ryewith sauerkraut & melted Swiss cheese. This was an impressive-looking sandwich with plenty of meat and an equally large amount of bread. It could've been toasted a bit more since it was becoming quite soft at the end. Sweet Tooth remarked that there could've been more sauerkraut as she didn't notice it much. We were all pretty happy with their side coleslaw as it looked and tasted fresh with a nice zing and crunch (loved how it was the non-mayo type too). For myself, I wanted to order something original at the table, so I chose the Combination (in which I selected smoked meat and free-run chicken). Naturally, the meat was solid, however, I really didn't care for the chicken. It was dry and tasteless. I did like the light sourdough rye though, it held up to the meat and stayed intact throughout. On the side, I substituted a Seafood Chowder for the fries. Normally, there would be mussels in the soup, but they didn't have any. This was decent for what it was. 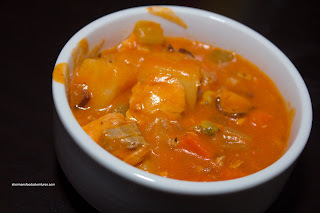 It was packed with large chunks of salmon, clams, potatoes, carrots and celery. After I finished the soup, I was stuffed. In fact, we were all pretty satisfied. Sure, the food didn't blow us away, but the meat was solid nonetheless. Both Emilicious and Gordo have been to Dunn's in Montreal and they thought this location was pretty close (not exact, but close enough). 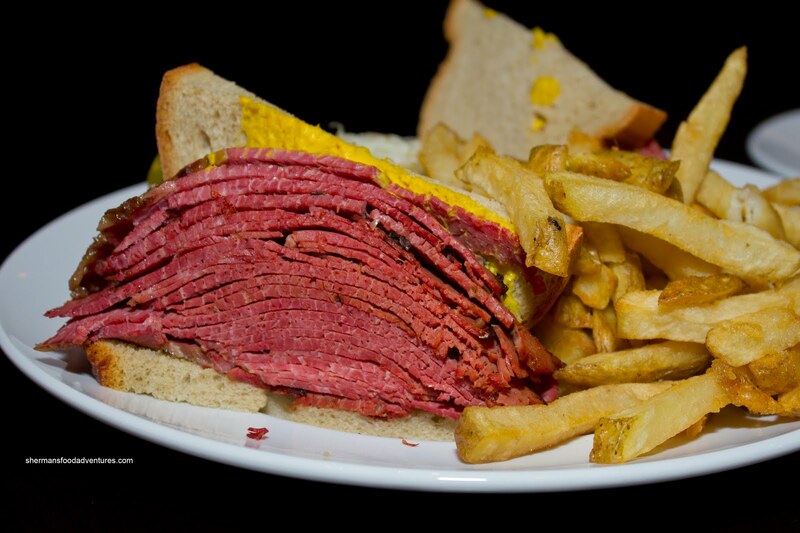 Again, we are fully aware there are better independent delis in Montreal compared to Dunn's. But, we're not in Montreal. 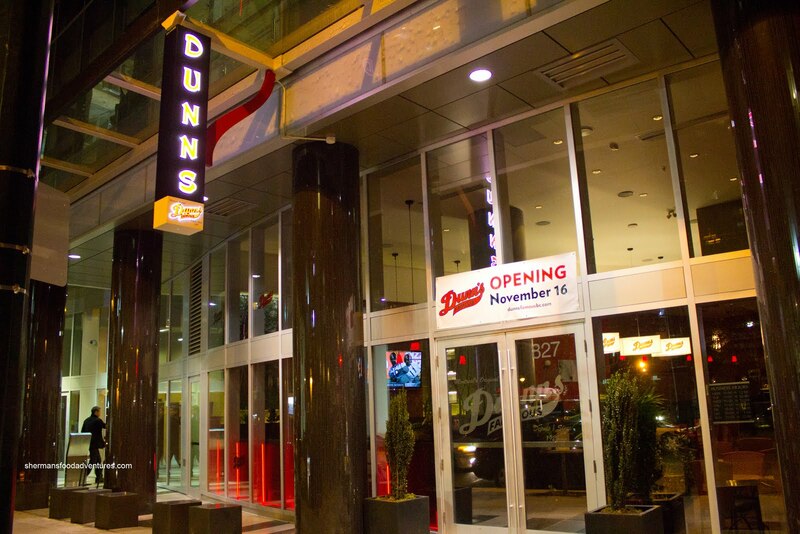 Wow I didn't even know there was a Dunn's in Vancouver! 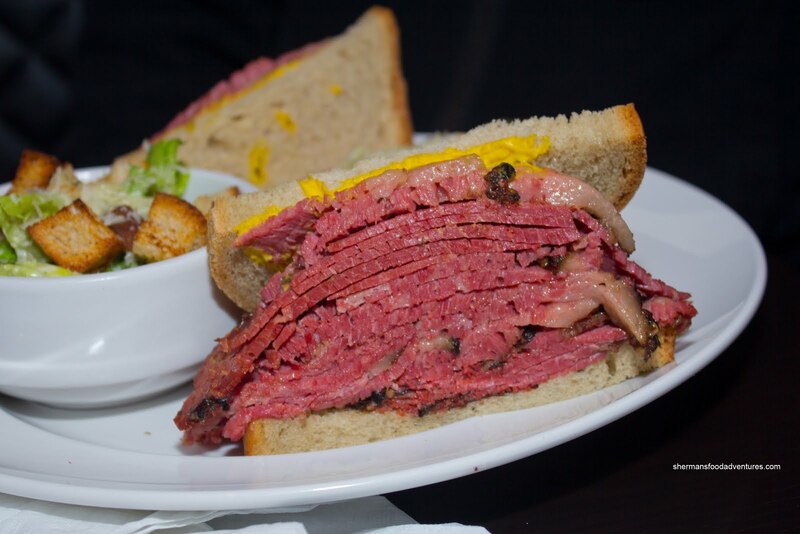 Although it can't compare to the smoked meat at Schwartz in Montreal, I'll be looking forward to lots of meat:)! 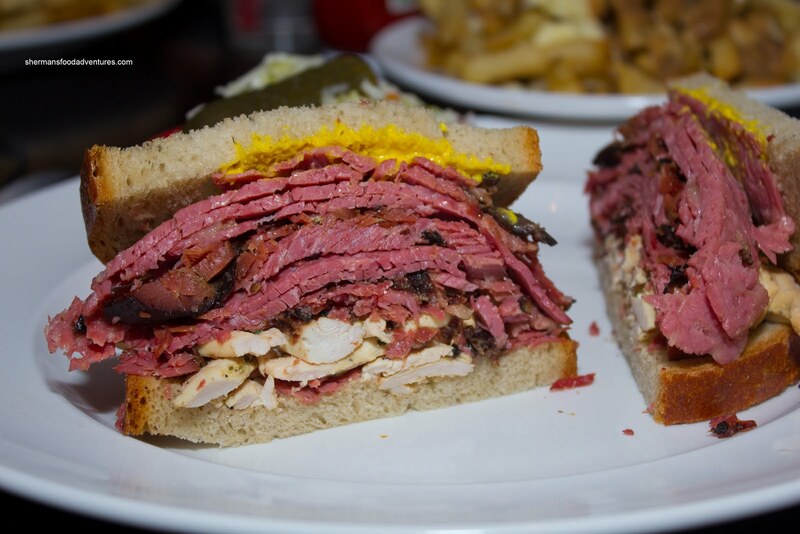 But I must admit I prefer a good pastrami sandwich over smoked meat! @carilee Yes, Dunn's is solid. I would go there again! Definitely going to have to check this place out soon. But living in Surrey, I think that I'll be sticking to Estrella's for the most part! @mbsunshine: FWIW, Costco sells Dunn's meats in packages, either sliced or the whole brisket. @mbsunshine: ha, and neither do I. My parents do, and what they do is they just buy a, say, $100 gift card from Costco (I pay in advance) and I use the gift card as if it's a membership card. And even if I bought something that exceeded the total remaining on the gift card, I can pay the balance however I choose. Not a lot of people know about this. I don't go to Costco that often, really, so that $100 actually lasts me awhile. But if you can get a friend/family member to get you a gift card of the denomination of your liking, then you can use it that way.